When it comes to dental emergencies, it is better to be safe than sorry. The first step to treating sudden dental injuries, like toothaches or chipped teeth, is to have some contact information of dentists and dental clinics noted down. Emergency dentistry is an essential emergency service, as they stay open round the clock to cater to your dental issues; which can be during the weekends, in the middle of the night or very early in the morning when other clinics may be closed. When an emergency occurs, waiting till the next morning is out of the question, and these issues need to be dealt with immediately. Also, those with a very tight work schedule who are only free on the weekends, are another reason as to why emergency dental clinics are a necessity. Hence, the wisest precaution in this case would be to keep some numbers written down in case of an emergency. 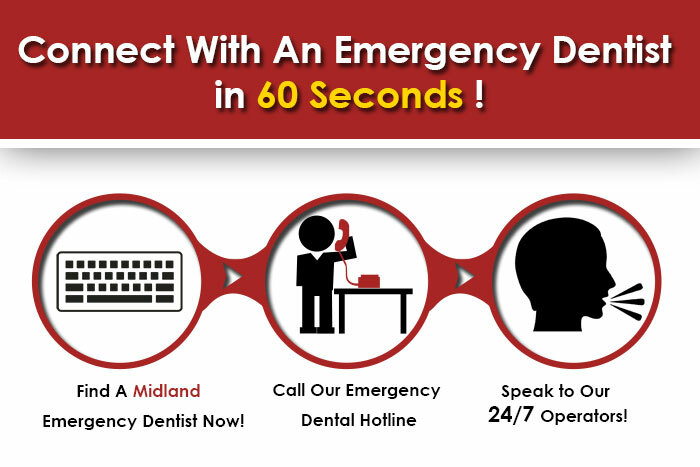 For those living in Midland, which is thetwenty-fifth most populous city in the state of Texas, they know the value of emergency dentists, being a city of around 111,147 people. It is only obvious that emergency dentists would be highly prized in a city as populated as such, since there has to be someone to look after the emergency dental issues of the population. It is best to know some of the names and numbers of the emergency dentists nearby, as you never know when you might need them. That is why we have made a list of a few places where you could go to if you have an emergency. Bliss Dental is a cosmetic and family dentistry located at 4400 North Midkiff, Suite A-1. Their wide range of services include emergency dental treatment, oral exam, teeth filling and polishing, oral surgery, braces, Invisalign, root canals, dental implants, teeth whitening, etc. Besides Midland, they also have branches in Odessa and Lubbock in Texas. For appointments, call them at 432-689-4867. A family dentistry located at 4519 N Garfield St. #16A, it offers specialist care from Pediatric Dentists, Cosmetic Dentists, and Oral Surgeons for services, as such as Tooth Veneers, Tooth Whitening, Tooth Extraction, Dental Implants, and Sedation Dentistry, etc. Call them today at 432-570-7080if you have an emergency. Monarch Dental provides general, specialty, and cosmetic dental care to nearly a million patients every year. This dentistry takes emergencies seriously; hence, they provide same-day emergency appointments if you call them on their emergency hotline. They are located at 2101 Midland Dr #14.Call them today for more information or to book an appointment at 432-699-6222 or during emergencies at888-274-4486. They provide services such as Implants, Grafts, Root Canal Therapy, Extractions, Dentures, and Whitening, etc. Braces at Familia Dental include a free consultation, starting at as low as $3900 with no financing available.Located at 3200 Andrews Highway, you can call them at 888-988-4066to book an appointment or for more information.